Anthony was born on the shore of Lake Erie in the fishing and boating town of Port Clinton, Ohio home to the Matthews Boat Building Company. He spent his early childhood growing up and working on the family farm. The summer highlight was taking the ferry boats to the Islands and Cedar Point Amusement Park. See the Woodbridge, Virginia Office page. Anthony began boating the Occoquan and Potomac Rivers with friends when his family moved to Virginia in 1970. He met soon-to-be Mentor and Marine Contractor, Captain John Fiocca aboard the motor vessel, Sinbad in the mid-seventies. Before long Anthony joined the crew, bought and began living aboard a 31 foot Wheeler cabin cruiser. He spent four years working on the Potomac River, Anacostia River and Washington Channel building docks, driving pilings and performing marine salvage and repairs while developing a passion for the water and boating lifestyle. Anthony continued recreational boating with friends and family into the early ninety’s. After a few years of being land-locked, the boating passion was still strong. Anthony and his wife, Denise returned to boating in 2005 and enjoy long weekends and day trips with family aboard their Bayliner 3288 Motoryacht “Caledonia” berthed on Aquia Creek in Stafford VA. He is a professional musician, performing throughout the DC Metro area for over forty years as well a successful Guitar Instructor since 1997 sharing his passion for guitar playing with his students. Anthony earned an A.A.S. in Communication Design from N.V.C.C., volunteered for 4 years at Micah Ecumenical Ministries in Fredericksburg VA serving the Homeless Community and spent 20 years in the construction trades and selling home improvement products. He is also a past Rear Commodore at Washington Yacht Club. 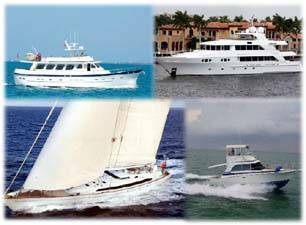 Anthony brings his experience and the same passion for boating as he joins Curtis Stokes and Associates in the exciting world of Yacht Brokerage. 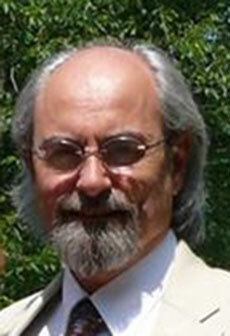 Anthony Gerogosian can be reached at anthony@curtisstokes.net or call 703-606-2975.